The Company Summary is a listing of the companies in the current database with the number of active and inactive slips of each type. 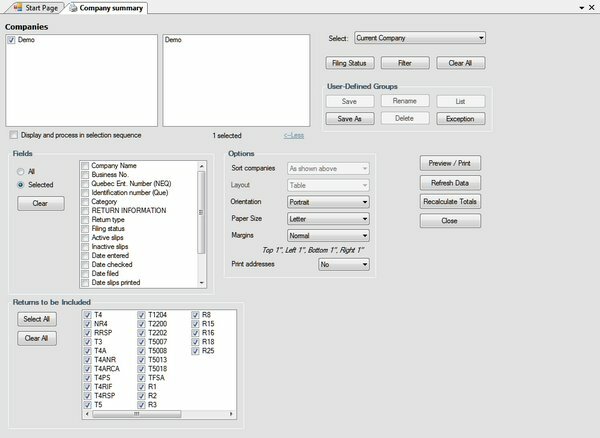 Select Company Summary from the Reports menu to generate this report. A dialog box will open which will allow you to select which companies to include and other options. Refer to the section Options for details on configuring the layout of the report. If you chose Selected, click on the box beside each field you wish to include in the report. Clicking on Clear will remove all selections.